Good News to all APPSC aspirants. 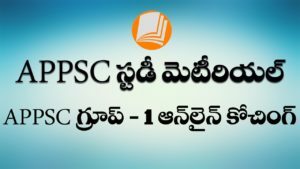 Vyoma.Net is bringing to you free Online APPSC Group 1 Study Material to help you prepare for all competitive exams conducted by APPSC such as Group I. You can find free Online Study Material on Economy, History, Geography, Polity, Disaster Management, Environmental Degradation, E-Governance, Ethics and Current Affairs. Daily Current Affairs will be updated on a daily basis and will keep you ahead of the competition. In addition to the Online Study Material, we are also providing PDFs of all the Online Study Material. These PDFs can be downloaded. 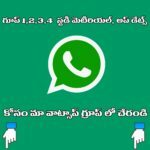 The Online APPSC Group 1 Study Material provided by Vyoma.Net will help you crack APPSC Group I. 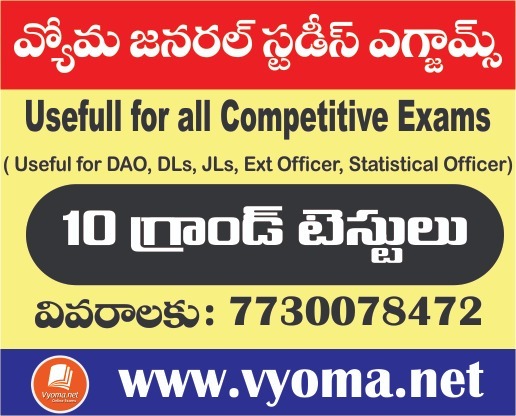 You can find all resources required to crack APPSC Group I in Vyoma Online Study Material.